COPYRIGHT: PROTECTION THROUGH THE LIMITATION TO THE RIGHT TO COPY. Copyright is the most accessible forms of protection of intellectual property. It is a legal right which grants exclusivity to the author or creator to print, publish, perform, film or record literary or other artistic material. It includes the right to authorise others to do the same to that work. It is the method by which authors, painters, scriptwriters, and musicians protect their artistic endeavours. But what does copyright protect? Does it mean that no one bar the author of a book, can use certain words? Do those words become the author’s property? Surely, that can’t be. What about music? Does the composer have a copyright over the notes that he has assiduously scribbled whilst caught in the feverish rapture of a muse? Does the painter have a copyright over a particular shade of yellow, a shade that he claims is his own, as are the sunflowers he has painstakingly painted. 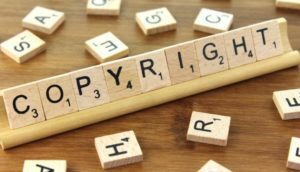 Typically, copyright protection is jurisdictional in nature, meaning that there are variations from State to State, but generally speaking, copyright protection can span anywhere between 50 to 100 years from the death of the creator’s work. And in this respect, though it is the most accessible form, but offers the lowest level, of protection it is the one which offers the longest protective period. Patents, by comparison, which offer the highest level of protection to a creative work, furnish generally a 25 year cover from the date of registration of the patent. Sadly, not all creative works can be protected by copyright and in this case, the creator or inventor ought to be looking at other protective measures as are trademarks and patents. ← INTELLECTUAL PROPERTY PROTECTION MECHANISMS: FORMAL ATTIRE OR SMART CASUAL?